I want to go on record as being the first person to name the first decade of this century, this millennium even. The Lying 2000s. Hopefully we won’t be lying for the entire millennium, but, unlike the 1920s or the 1960s, there’s no easy way to label those ten years where we ended up calling each year two thousand one, or two thousand eight. We have other terms which have stuck for labeling decades, like “The Roaring 20s” or “The Me Decade.” We don’t even give a name to the 1960s other than “The 60s” because we all know all the connotations and references which the mere number elicits. Historians will say it takes some time to label a decade. However, the “Me Decade” for the 1970s caught on after a Tom Wolfe article in 1976, well before the ten years were actually up. What’s not hard though is to admit that it was a decade of lying. Lance Armstrong is the latest as new revelations have come out about his alleged use of performance enhancing drugs. Add his name to the list of Barry Bonds, Martha Stewart, Bernie Madoff, John Edwards, and so on. It’s not just Bonds and Armstrong in sports, but the list is long. Nor is it just John Edwards in politics, but how about John Ensign or Rod Blagoyovich or that deliciously wonderful Governor Sanford from South Carolina who went hiking on the Appalachian Trail….in Argentina? Or the Pat Tillman and Jessica Lynch stories out of our interventions in Afghanistan and Pakistan. Or how about weapons of mass destruction in Iraq? There’s a new book out by James Stewart called Tangled Webs, where he reports in depth on four of the most famous liars. But to my knowledge, he doesn’t make the case that the decade be given this name. And, he only concentrates on these four cases. Truth is (pun intended,) the lying epidemic does go back a ways. Watergate, Monica Lewinsky and even the steroids era started well before this decade. And the lying is not confined to this country, as we are now seeing with autocrats in the Middle East, like Ghaddafi, claiming that all is well in his country. The Soviets were masters of lying, about their economy, about the joys of their system, about their lack of knowledge of the huge Gulag system of prisons. I was right about one thing. The lies were found out. In any case, let’s start a movement for calling the last decade the Lying 2000s. Maybe it will help shake us of that habit, so we could call the next decade something more inspiring. But that’s probably naïve. This entry was posted on May 26, 2011, 10:24 pm and is filed under History in our surroundings, Public Affairs. You can follow any responses to this entry through RSS 2.0. You can leave a response, or trackback from your own site. 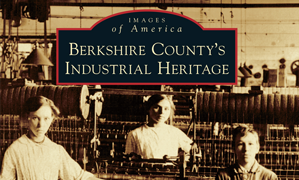 Check out this book on the nineteenth century mills and those who owned and worked in them. Available through Arcadia Press or Amazon. Thomas Allen donated $50,000 to build the Athenaeum in 1876. A yong architect from New York, William Appleton Potter, had his design selected for the new Athenaeum.